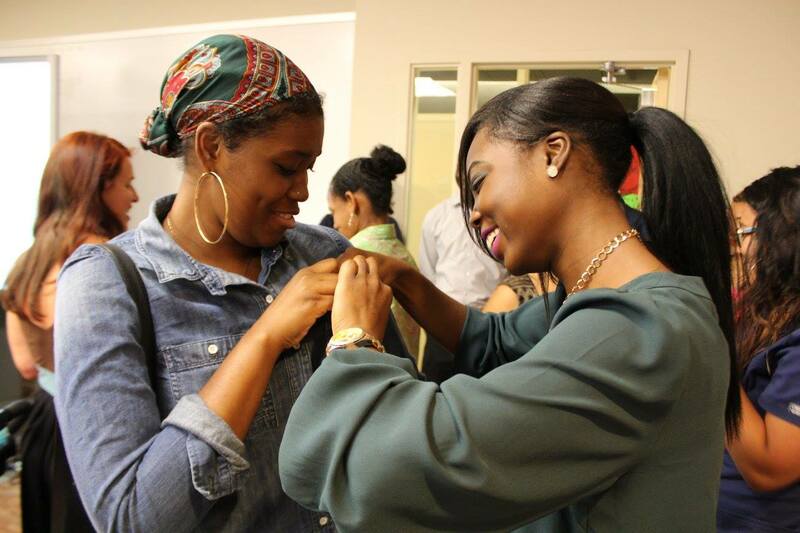 Twenty-four new students were inducted into Briya’s Medical Assistant Program during a ceremony this fall. Gina Pistulka, Briya instructor, welcomed everyone and spoke to the incoming students about the vital work they will do as medical assistants. 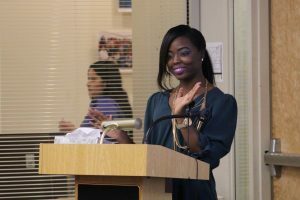 A 2016 MA Program graduate, Lahana Bernard, then spoke to the class about her time in the 15-month program, which prepares students to work alongside doctors and nurses. Bernard also spoke about her positive experience with her teachers and classmates at Briya. After hearing from Pistulka and Bernard, each incoming student received a medical assistant pin from a program graduate. 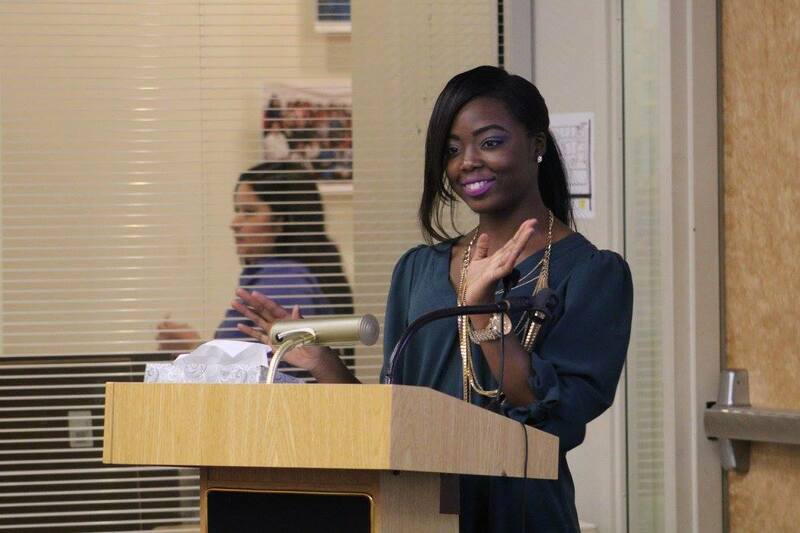 The new students then recited the medical assistant creed, officially becoming Briya’s MA class of 2017. The new class left the ceremony with words of inspiration offered by Bernard.